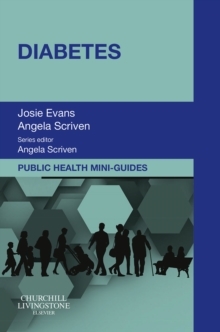 "From Sure Start to healthy workplaces, health action zones to community regeneration, this volume makes the leap from research to action." 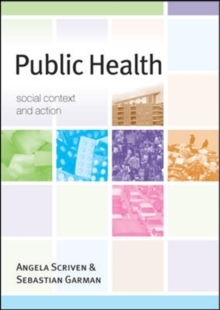 Professor Richard Parish, Chief Executive, The Royal Society for the Promotion of HealthWhat is public health and how has it changed over time?What is the social context of public health and what are the dominant 21st centuryissues?What strategies are in place to address population health?This important book makes a significant contribution to the emergent body of public health knowledge by examining debates around the social context of health, including key socio-economic, environmental and cultural factors. 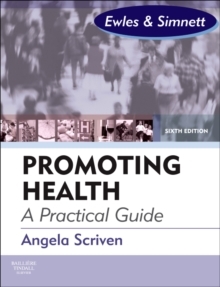 In doing so, the text locates within a social context the theoretical debates and problems surrounding public health, and analyzes the practical public health strategies and solutions that have been developed to address them.The book moves beyond traditional theoretical discourse to include coverage of:The thinking, frameworks and processes that are actively shaping public health in the 21st centuryProvides tangible examples of public health strategies that have recently been introduced to tackle the social determinants of healthThe use of media strategies to promote healthPublic Health is key reading for students undertaking courses in health studies, health promotion, nursing, public health, social policy, social work and sociology. 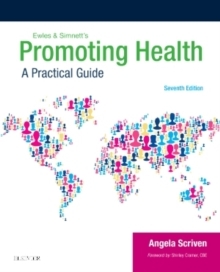 In addition to a wide student readership, the book's focus on public health action and current practice also makes it highly relevant to professionals. The text brings together a distinguished group of practitioners, social scientists and public health experts who contribute their ideas and research.Contributors: Amanda Amos, Mel Bartley, Linda Bauld, Hannah Bradby, Tarani Chandola, Jeff Collin, Paul Fleming, Colin Fudge, Sebastian Garman, Ben Gidley, Jenny Head, David Hunter, Martin King, Roderick Lawrence, Kelley Lee, Yaojun Li, Mhairi Mackenzie, Alex Marsh, Antony Morgan, Jennie Popay, Graham Scambler, Sasha Scambler, Angela Scriven, Nick Watson.